The state unit of Goa’s ruling Bharatiya Janata Party (BJP) is preparing a shield around Prime Minister Narendra Modi to insulate him from being blamed for a possible poll debacle in the state. Alarmed at opinion polls outcome which has predicted a hung assembly in view of the Aam Aadmi Party’s foray into Goa politics, BJP’s state unit is currently riding on hopes that it would get a second successive term despite the insipid performance of its government, led by incumbent Chief Minister Laxmikant Parsekar. The party has decided to tweak its formula of seeking votes on the name of Modi after the Bihar setback. Instead, Parsekar would lead the party to polls, scheduled for February next year. 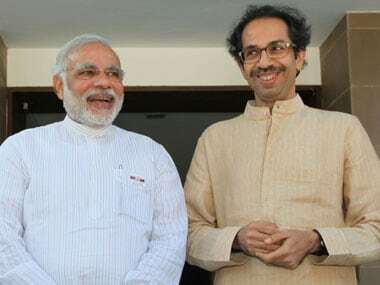 Modi along with his Defence Minister Manohar Parrikar, BJP national president Amit Shah and federal Highways Minister Nitin Gadkari would jointly campaign for the party, lest Modi is blamed for a below par show in which even emerging as the single largest party in the 40-member state assembly would be akin to rejection by the Goan voters. Parsekar, however, would not be projected as its chief ministerial candidate in a bid to keep those unhappy with his performance in good humour. "You cannot compare Parrikar and Parsekar. Parrikar had previous experience as the chief minister. 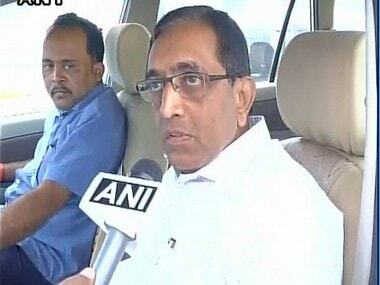 Parsekar was new," Goa BJP president Vinay Tendulkar told Firstpost in an exclusive interview. Tendulkar, himself a former Goa minister, knows well that political bravado itself would not be sufficient to a dream into the reality. Shah recently put the state unit into a spot of bother by announcing that BJP would win 27 seats – half a dozen more than what it had won in its best ever performance under Manohar Parrikar in 2012 polls. Has Shah put the state unit under pressure by making such a big claim when pollsters are predicting loss of at least half a dozen seats for BJP in Goa? "It is not a pressure for us. We have done lots of work in Goa – development, healthcare etc. We have given lots of schemes to the people. We have fulfilled more than 90 percent of our promises made in our manifesto. People are happy with our government. We are also having some reports. Based on that he (Amit Shah) said we should win at least 27 seats," Tendulkar said. 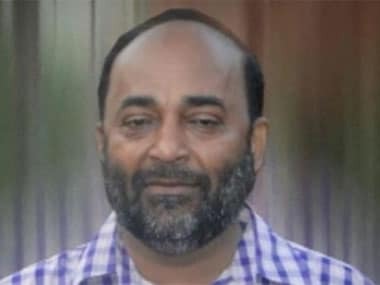 The state BJP chief seemed to ride hope instead of conviction while dismissing the threat being posed by the Aam Aadmi Party (AAP) which has taken the lead by announcing its list of candidates well in advance, giving its nominees sufficient time to pan out to the voters. "AAP effect won’t be there," Tendulkar claimed, adding that AAP’s decision to change its declared candidates is making a mockery of the entire exercise. BJP would, however, take AAP threat at its own peril since it has emerged as the third force behind arch-rivals Congress party and BJP in this tiny south-western coastal state. Goa. Theoretically, Goa should be a fertile ground for AAP which came out of a national agitation against corruption. If the northern state Haryana is credited for starting the political fad off ‘aaya ram gaya ram’ (mass defection), Goa honed it to perfection with governments in the past falling at the drop of a hat, mostly over monetary considerations until BJP was voted to power in 2012 with a simple majority. BJP has reasons to be wary of AAP after Delhi demolition, considering AAP deflated all its hopes of coming to power in the state assembly by winning 67 of 70 seats on offer. But displaying its nervousness, BJP knows, will demoralise its cadres. "Goa is different from Delhi. People here are well educated. They have seen that nearly 27 AAP MLAs in Delhi have been booked. Some have even gone to jail. Goa voters would reject AAP," Tendulkar said, declaring that it would be a fight direct between the BJP and the Congress party. "Fight here in Goa is between BJP and the Congress. But the Congress is not geared up for the past four-five years. People here have seen that the Congress governments in the past did not do anything for them. "On the contrary, our activities are increasing by the day. Starting 5 November, we have so far held 18 rallies in 18 different assembly constituencies. We are getting tremendous response from the public at these rallies. We would have held our rallies in all 40 constituencies by the time elections are announced," the Goa BJP chief said. 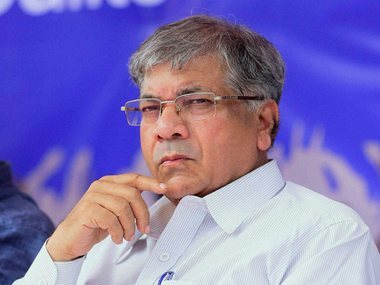 The Goa BJP president also ruled out any possibility of Parrikar being projected as its chief ministerial candidate, which many pollsters have suggested would turn the tide in BJP’s favour considering Parrikar has better credentials as being above corruption to Goa voters when compared to AAP head and Delhi Chief Minister Arvind Kejriwal. Parrikar’s impeccable image was one the reasons Modi handpicked him to head the corruption-ridden defence ministry even though the then Goa chief minister Parrikar had shown no visible inclination to move to the national politics. "It is not like that. We are seeking votes on the basis of development work done by our government here and various people-friendly schemes launched by us. Parrikar has helped us a lot by getting Goa more than Rs 10,000 crore worth of funds from the Central government for roads, bridges, etc.," Tendulkar said, virtually ruling out that votes cannot be sought on Parrikar’s name, though he would be the party’s star campaigner. One is left to wonder what prevents the BJP then from naming the incumbent chief minister and Parrikar’s successor Parsekar as the chief ministerial candidate if his performance was satisfactory and when votes where would not be sought on Modi’s or Parrikar’s name? "We are going to polls under the leadership of Laxmikant (Parsekar). We are contesting under his leadership. He is our present chief minister. Modi is very much there. He had come here and will come for campaigning. Our national president Amit Shah, Parrikar and Gadkari would all come and campaign here. After elections our MLAs and Parliamentary Board would decide who should be the next chief minister," said Tendulkar. One of the reasons that BJP has withheld naming Parsekar in advance as its chief ministerial candidate has been taken with an eye on the post-poll scenario, should BJP fall short of the majority mark and need the help of others to form the government. Ties with its existing partner MGP (Maharashtrawadi Gomantak Party) is already in tatters with MGP in the recent past threatening to go to polls on its own. MGP’s threat is being seen as a pre-poll posturing since the regional outfit is doing all it can to ensure it gets to keep its share of seven seats to contest in the upcoming polls, and probably more. Compared to BJP, which won 21 out of 28 seats it contested, MGP could pocket just three out of seven seats it contested, while the BJP had extended its support to five independents. Both the BJP and the MGP are now eyeing those five seats, set aside for the independents five years back. MGP has already staked claim on five additional seats, which is not acceptable to the BJP as it itself is keen on contesting at least four of these, namely Dabolim, Porvorim, Bicholim and Quepem. MGP has already fixed a deadline of 15 December, before going ahead of its threat to go alone in Goa polls. BJP has a poor track record of arm-twisting existing allies or dumping them after it swept to power at the centre in 2014. Haryana Janhit Congress in Haryana was dumped and Shiv Sena in neighbouring Maharashtra is still smarting when BJP forced it to contest lesser number of seats when the two states went to polls in October 2014. Incidentally, BJP emerged winners in both these states. With Shah setting the target of winning 27 seats in Goa, it is apparent that BJP is eyeing to contest more than 28 seats it did in 2012. 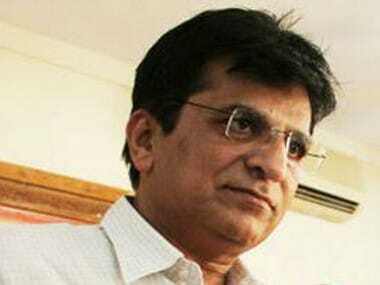 The Goa BJP president, however, said seat-sharing talks would soon take place. "MGP is an old ally. We are going to start talks soon and all will be finalised smoothly soon. Newspapers may say anything but our relations with MGP are good and strong. Who contests how many seats will be settled amicably," he said. The Goa BJP president, while listing reasons for being confident of emerging victorious, listed the fight against corruption besides development as one of the major planks of the BJP. He, however, was candid in admitting that the success achieved on this front was not as expected. "We have been successful in fighting corruption in Goa. Maybe not 100 percent, but it has been controlled to the extent of 80-90 percent. There can be sporadic instances of government servants like peons or clerks taking small amounts as bribes for moving files, but we have been successful by and large. The Rampant political corruption that Goa witnessed during the previous Congress party rule does not exist any longer," he said. Interestingly, Tendulkar, who had a stint as minister of forests in the past, could also come into reckoning to head the new government in case BJP falls short of the majority mark and Parsekar becomes unacceptable to MGP or any other post-poll ally. He, however, rules himself out of the contention, asserting that he has no chief ministerial aspirations. Is he, as the state unit president, happy with the present chief minister? “Laxmikant (Parsekar) was new to the job. But he has learnt. He is working hard. He works for 18-19 hours a day. Now he is doing good work and everyone is happy with his performance as CM," Tendulkar, who was re-elected as Goa BJP chief for the second term in January this year, said.